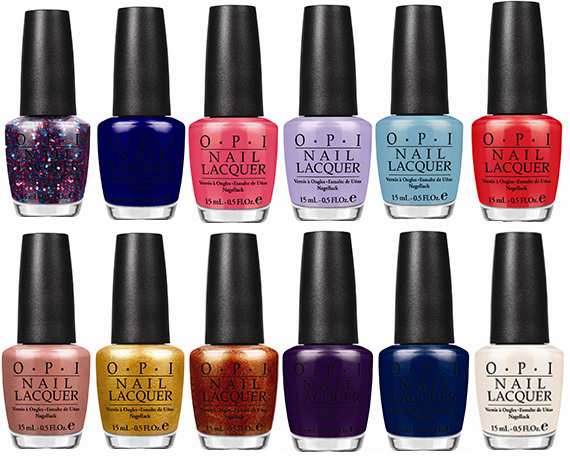 OPI celebrates a region where history meets modern design, featuring the Euro Centrale by OPI for Spring/Summer 2013. The collection consists of twelve new nail lacquers with a mix of glamorous metallic hues; playful bright shades in periwinkle, aqua and pink; and creamy blues in indigo, midnight and aubergine. The collection will be available February 6th for $9.00 ($10.95 CAN) suggested retail for each Nail Lacquer.